Ralph Hexter arrived at UC Davis on January 1, 2011, to become provost & executive vice chancellor. He also holds an appointment as distinguished professor of classics and comparative literature. As provost and executive vice chancellor, he serves as the number two person in the UC Davis administration, reporting directly to Chancellor Linda P.B. Katehi and representing the chancellor in her absence. He is the campus’ chief academic officer and, in that post, oversees the work of the deans and serves as the chancellor’s principal liaison to the Academic Senate. Provost & Executive Vice Chancellor Hexter is responsible for guiding the development of academic priorities and strategies; working with the deans to recruit and retain a diverse and talented faculty; and in coordination with the chancellor, leading the university’s strategic planning process, allocating resources to advance strategic priorities, and, with his fellow vice chancellors, managing the daily operation of the campus. From 2005 to 2010, Hexter served as president of Hampshire College in Amherst, Massachusetts, a selective liberal arts college with 1,500 students known for its innovative student-centered pedagogy and curriculum. Shortly after he arrived at Hampshire, he launched a comprehensive revisioning exercise to focus the college on its future as it neared its 40th anniversary, celebrated in 2010. In addition, he added to his president’s cabinet a special assistant for diversity and multicultural education; completed fundraising for what became the college’s first building to receive LEED gold environmental certification; and, through a generous grant from the Andrew W. Mellon Foundation, laid the groundwork for a deeper integration of the study of languages other than English into the college’s courses and individual student and faculty projects. Hexter received his A.B. degree in English literature from Harvard College in 1974. He earned a B.A. and M.A. in classics and modern languages at Oxford’s Corpus Christi College in 1977 and 1982, respectively. He also earned an M.Phil. and a Ph.D. in comparative literature from Yale University in 1979 and 1982, where he taught in the classics department from 1981 to 1991. During his final year at Yale, he served as acting associate dean of the Graduate School. In 1991, he moved as professor of classics and comparative literature to the University of Colorado at Boulder, where he directed the graduate program in comparative literature. In 1995, he joined the faculty at the University of California, Berkeley also as professor of classics and comparative literature, advancing to posts as chair of Comparative Literature, dean of Arts and Humanities and executive dean of the College of Letters and Science, the last two concurrently. At Berkeley, Hexter successfully recruited and retained faculty under intense competition from other universities, and he was active in securing philanthropic support for UC Berkeley from individuals and foundations. Throughout his career, Hexter has continued to teach, lecture, and publish on the interpretation and meaning of classical Greek and Roman literature from antiquity through the Middle Ages to modern times. His most recent work includes a historical survey of Ovid’s exile poetry in Rezeption der antiken Literatur: Kulturhistorisches Werklexikon, Der Neue Paully, Supplemente, vol. 7, ed. Christine Walde (2010); an account of the pseudo-Ovidiana in Ovid in the Middle Ages, edited by James G. Clark, Frank T. Coulson, and Kathryn L. McKinley (2011); and The Oxford Handbook of Medieval Latin Literature, co-edited with David Townsend (2012). As an academic leader, Provost Hexter has made it a priority to foster excellence across the full range of disciplines, and to promote equal opportunity, diversity, and inclusion for students, faculty, and staff. A recipient of the University of Massachusetts’ Continuing the Legacy of Stonewall Award (2008), he was a founding member of the LGBTQ Presidents in Higher Education. Debra J. Richardson joined the UCIrvine faculty in 1987, and became chair of the department of Information and Computer Science (ICS) in July 2000. 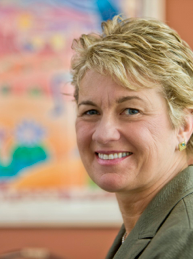 Under her leadership, the department was promoted to the first computing-focused school in UC system in December 2002, and she was appointed the Ted and Janice Smith Dean of the new school. She was instrumental in securing a transformational six-figure endowment for the school, resulting in naming the school after philanthropist Donald Bren. She served as dean through June 2010. Richardson is a Professor of Informatics. She pioneered research in “specification-based testing,” whereby formal methods are employed to guide software testing. Her current work focuses on adapting software engineering techniques to socially relevant domains. She has authored over 150 peer-reviewed publications. Her research has been recognized by designation as a Fellow of Automated Software Engineering and also with two retrospective impact awards from ACM SIGSoft. Richardson has always been committed to increasing the participation of women and other underrepresented minorities in computing. She has served on the leadership team of the National Center for Women and Information Technology (NCWIT) since its inception and heads up UCIrvine.s NCWIT PaceSetter team. She engages to improve computer science education, in part by chairing ACM.s Computer Science Teachers Association (CSTA) Advisory Council and also chairing the Alliance for California Computing Education for Students and Schools (ACCESS). She also serves on the ACM Education Board, and chaired Computer Science Education Week (CSEdWeek) during its second and third years. Richardson received her B.A. in Mathematics from the University of California at San Diego and her M.S. and Ph.D. in Computer and Information Science at the University of Massachusetts. Jonathan Raymond is Superintendent of the Sacramento City Unified School District, California’s 11th largest school district (47,000 students) located in the heart of the state capital. Since his appointment in July 2009, Raymond has accomplished several objectives of the district’s Strategic Plan 2010-14: Putting Children First, including: the creation of seven Superintendent’s Priority Schools to offer extra assistance to the district’s most academically troubled campuses; the implementation of Early Kinder, a two-year transitional kindergarten program aimed at ending the cycle of “start behind, stay behind,”; the development of Chinese and Hmong language immersion programs; the expansion of high school Linked Learning academies to provide college and career bound students with real-world experiences; a phased-in implementation of Common Core Standards to add rigor and relevance to curriculum; and the historic adoption of the “Sacramento High Performing Schools Compact,” a commitment to improving Sacramento’s educational climate signed by the district and charter school providers and supported by the Gates Foundation. In addition, under Raymond’s leadership the district became the first on the West Coast to be awarded a fully funded Green Fellow from the US Green Building Council, a position critical to ensuring the environmental sustainability of SCUSD’s 81 campuses. Prior to his appointment, Raymond, a graduate of Tufts University, George Mason Law School and the Broad Superintendents Academy, served as Chief Accountability Officer for Charlotte-Mecklenburg Schools. Raymond’s extensive experience extends beyond education: He was president and CEO of the non-profit, Boston-based Commonwealth Corporation; a deputy director in the Massachusetts Department of Labor and Workforce Development; and a private practice attorney specializing in business and labor law.